India’s Prime Minister Narendra Modi addresses during the inauguration of 15th Pravasi Bharatiya Divas Convention 2019 in Varanasi, Tuesday, January 22, 2019. Varanasi, Uttar Pradesh: Prime Minister Narendra Modi on Tuesday said work is on to issue chip-based e-passports to Indian citizens under a centralized passport system. 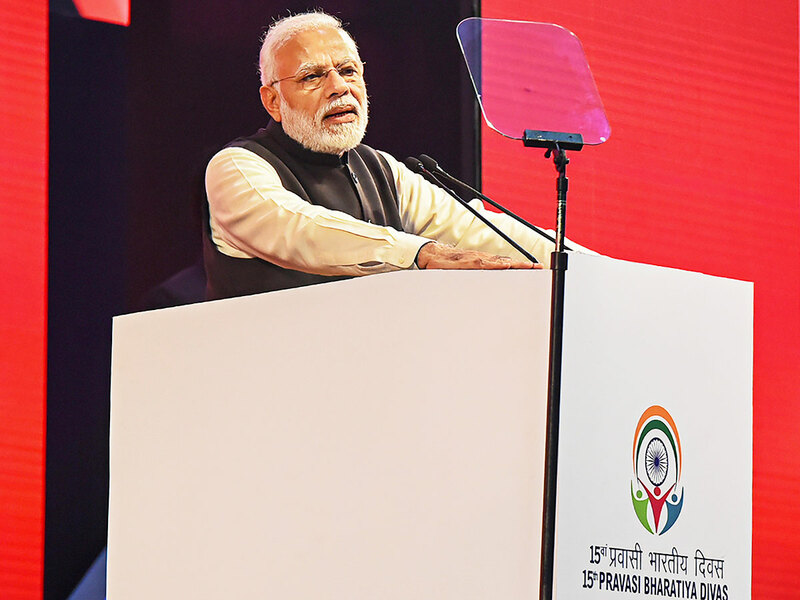 “Our embassies and consulates are being connected to the Passport Seva Project worldwide,” he said addressing the inaugural ceremony of Pravasi Bharatiya Divas (PBD) 2019 here. “In the last four-and-a-half years, more than two lakh Indians stranded in crisis situations abroad have been helped by the government and its efforts,” he said.